One of America's premier classic rock festivals, Moondance Jam, set among the lakes and woods of Northern Minnesota, chalked up a notable 20th anniversary. However this achievement was also tinged with sadness as Bill Bieloh, the man who built the festival from a small gathering of regional bands to arguably surpass Rock Fest in neighbouring Wisconsin as the top festival of its kind in the USA, passed away too young last year. Tributes were paid throughout the weekend and he and widow Kathy were even commemorated on T-shirts - incidentally part of the best choice of festival clothing you could wish to see. The show must go on however and, as on the previous two years I have attended, it began with a pre-show party for weekend ticket holders on the Wednesday night, featuring mainly tribute bands. 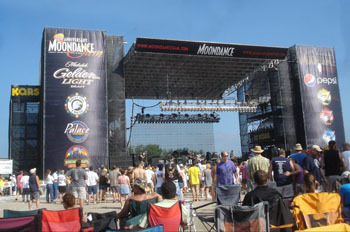 This has grown to the extent that this year four bands played on the main stage, rather than in the Moondance saloon, which for the whole weekend hosts regional bands in between the main acts. However, Don's short hair, beard and mirror shades made him look worryingly like Faith-era George Michael. Edging away from pure old style classic rock, Moondance has over the past couple of years booked more bands from the nineties, two of whom opened this festival to a backdrop of dull weather which thankfully improved. Sadly, Cracker were quite staggeringly boring. They were not unpleasant to listen to, with jangly guitar riffs in the mould of Tom Petty or Soul Asylum, and some decent songs such as 'Euro Trash Girl', 'Teen Angst' and their best known, 'Low', but they showed a complete lack of interest on stage, seemingly without any desire to be there, confirming my worst fears when singer David Lowery had been interviewed on the big screen, as all Moondance artists are, beforehand. 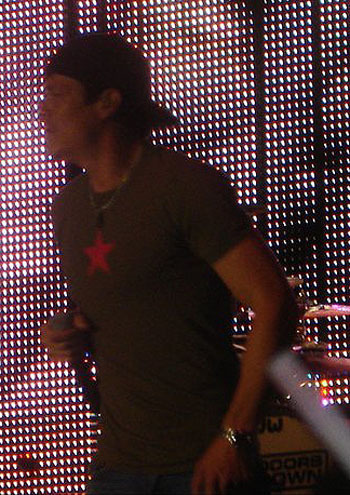 Candlebox were better, if only because singer Kevin Martin is an engaging and chatty frontman, who played to the Moondance crowd with snippets of his classic rock influences. Considering my dislike of the whole grunge and post-grunge genres, their music was surprisingly easy to listen to with good guitar solos. However not even the big hits in the USA in the nineties, which were greeted by the louder cheers, had the hooks to lodge in my brain, with the best song being a tribute to his late war veteran father, 'Miss You'. So it was left to Great White to kick things up a notch, but with the handicap of seriously ill singer Jack Russell being absent. With 'Desert Moon' and 'Lady Red Light' a bit lacklustre, it took me a while to get used to diminutive former XYZ singer Terry Ilous, whose voice was one part Jack to one part Tesla's Jeff Keith and Scorpions' Klaus Meine, but to be fair he did a sterling job. Unlike the eclectic set I saw them do in London three years ago, this set concentrated on their most popular late eighties period with the smoky 'House of Broken Love' with a typically understated sweet solo from Mark Kendall, the suggestively titled 'Mista Bone' getting into the groove, and the usual epic, slow burning 'Rock Me'. Yet 'Big Goodbye' from the underrated 'Psycho City' and the title track from their last album 'Back to the Rhythm' also went down well. Closing with a singalong to 'Can't Shake It' and of course their cover of 'Once Bitten Twice Shy', Great White really got the party started. Given that they cannot have toured the UK in 30 years, 38 Special were one of the main incentives for me to attend. However in America they are veterans of state fairs and outdoor shows and this showed in a highly entertaining and professional display. 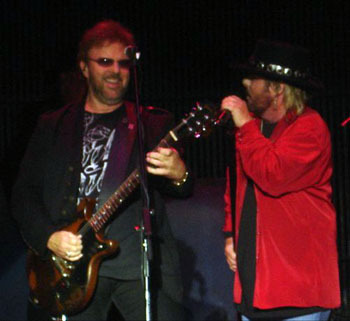 Donnie Van Zant, taking advantage of the fact he sings lead on less than half the songs, acts as an audience cheerleader and messes around with the other band members, while as befits a southern rock band, there were plenty of quality lead guitar solos from both Don Barnes and Danny Chauncey. However, Don's short hair, beard and mirror shades made him look worryingly like Faith-era George Michael. More seriously, much of the soulful power in his voice has disappeared, leaving it thin and reedy almost like Neil Young. 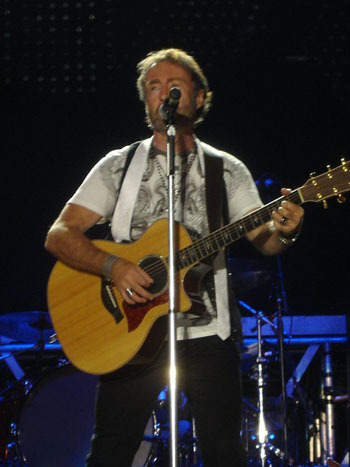 Many of their classic songs in a more AOR direction such as 'If I'd Been the One', 'Fantasy Girl' and 'Back Where You Belong' suffered noticeably as a result. There were few surprises in a set little changed from their 'Live in Sturgis' album over a decade ago, with southern rock rabble rousers such as 'Rockin into the Night' and 'Wild Eyed Southern Boys', a medley of several songs, and Donnie singing on 'Last Thing I Ever Do' which had a country honky tonk feel. The highlight though was surely his heartfelt tribute to big brother Ronnie, 'Rebel to Rebel,' not least because of a great closing solo from Danny. The set ended with a rare recent song, 'Trooper with an Attitude', coming over like an 'Eliminator' outtake and featuring a drum solo, and 'Caught Up in You' with Don singing before soling away. However despite being second on the bill, they still managed to get in three encores, with the stage shrouded in smoke before a very dramatic 'Chain Lightning', and US radio favourite 'Hold On Loosely' and a medley of 'Living in the USA' and 'Travelling Band' creating quite a party atmosphere. The set was a generous hour and a half and in hindsight they would have been better headliners. However you cannot disagree with the right of fellow southerners 3 Doors Down to headline if their multi-platinum album sales are anything to go by. Ever since their debut US smash 'Kryptonite' was played by every cover band I saw in America, I have gradually got into their music and indeed enjoyed a recent show back home at the Roundhouse. Sometimes lumped in as post-grunge, they instead have a melodic and very accessible, yet passionate sound which in fact at times could even be heavier. In a brave move they opened with the title track of their as yet unreleased fifth album 'Time of My Life' and indeed played around five new songs, all of which augured well for the new album after a slight dip in quality on the last two. However, their set was an unsatisfying anti-climax after 38 Special. Part of the problem, at least from my vantage point, was a ridiculously loud and distorted bass that drowned out the rest of the sound. The other is that, despite some well thought out video graphics and baseball-capped Brad Arnold acting the humble southern country boy, they lack the dynamism and stage presence to carry off this sort of festival headline. The lighting was too dark, while one of their guitarists barely moved six inches from his spot all night. Still, there were highlights to enjoy, particularly later in the set with 'Its Not My Time', 'Kryptonite' and a rousing closer, dedicated to American troops, in 'When I'm Gone'. I will still argue their merits, but this was not a night when they would have made any new friends. 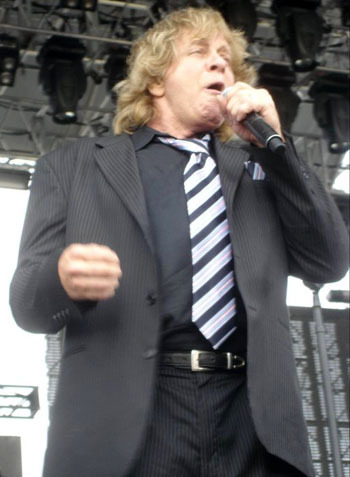 Eddie Money is another American legend who has been playing these festivals for years, but people didn't know whether to laugh or cry as this shambling bulk of a man came on, dancing badly in an ill-fitting suit and looking like a cross between Boris Johnson and JD Wetherspoon owner Tim Martin. Without doubt the strongest of the three days, Friday nevertheless began in low key fashion with a Van Morrison tribute, the Belfast Cowboys. I expected them to make the song Moondance the cornerstone of their set as a tribute to Bill Bieloh, but they opened with it in rather tame fashion and from then on I gradually lost interest. The Outlaws initially played to a small crowd and I had my reservations how they would fill the gap left by the late Hughie Tomasson. 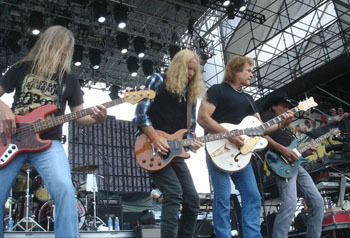 The good news is that their other main man, mulleted Henry Paul, has returned as lead singer, while lead guitarists Billy Crain and Chris Anderson reeled off one solo after another, with the four men at the front playing line astern, showing how they were once nicknamed the Florida guitar army. As well as old favourites like 'Hurry Sundown' and 'There Goes Another Love Song' there were some I was less familiar with, like 'Grey Ghost', with Billy's fiery lead guitar work something to behold, and even a new song, 'Hanging Out in Tennessee'. With Henry singing in a southern drawl and some rapid fire guitar picking, country influences were also to the fore, notably on the instrumental 'Waterhole' where I couldn't help being reminded of 'Yakety Sax', the musical accompaniment to Benny Hill's chases! The highlight though of what for me was a sensational set was 'Green Grass and High Tides', guitars jamming frantically on the song that sits not far behind 'Freebird' and alongside 'Highway Song' and a couple of Molly Hatchet songs in the pantheon of southern rock guitar epics, though it was kept to a relatively manageable 12 minutes. However the encore of their cover of 'Ghost Riders in the Sky' actually seemed to draw a better crowd response. He looked in terrible shape, and his singing was tired and breathless, yet his ability to play sax on the likes of 'Wanna Be a Rock n Roll Star' remains unaffected. A new song, 'One More Soldier Coming Home', still went down very well, as did the likes of 'I Wanna Go Back' and 'Gimme Some Water'. The band, guitarist Tommy Girvin in particular, were spot on, and that combined with the crowd signing along meant that for a closing quartet of hits - 'Take Me Home Tonight', 'Two Tickets to Paradise', 'Think I'm in Love' and 'Shakin' - the state of him was momentarily forgotten as a fun time was had. But I fear how much longer he will be able to keep performing while in this shape. 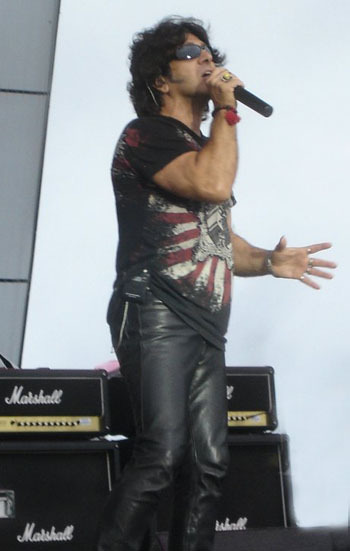 In contrast, Paul Rodgers at 61 looks almost disgustingly fit and trim. His UK show earlier this year already ranked as my top gig of the year alongside Night Ranger, and so I was braced for something very special. From opening with an ace in 'Can't Get Enough', second guitarist Markus Wolfe duelling with Howard Leese, followed by Honey Child, I was not disappointed. His voice is in better shape than ever but what is noticeable over the years is that he seems to have become more extrovert, adept at the big gestures and working the crowd to get them to join in. I wonder whether his stay in Queen brought out that side of his character. His band was also water tight with Howard in particular sensitively interpreting the songs and giving them that Bad Company sense of space rather than cluttering them up by over playing. Compared to the UK, in America he focuses more on his Bad Company back catalogue, but Mr Big still saw some virtuoso bass playing from Todd Ronning, then after 'Ready for Love' and taking to the piano for 'Running with the Pack', they paid tribute to Jimi Hendrix with a tasteful medley of 'Little Wing' and 'Angel', while 'Seagull 'saw the band belatedly break in to accompany the acoustic guitars. However the highlight for me was to hear him return to the piano to sing Bad Company, with the band imbuing the song with exactly the right kind of atmosphere and menace, as a full moon shone behind the stage and darkness fell on a warm Minnesota night. It is a memory I will long cherish. The rest of the set saw a series of singalongs to 'Feel Like Making Love' with Howard playing mandolin, and 'Shooting Star', and the good time grooves of 'Rock and Roll Fantasy' and 'Movin On', interspersed with 'Fire and Water' which did seem unfamiliar to most people and most surprisingly, 'Closer' from The Firm, reawakening my interest in that collaboration with Jimmy Page which had left me cold at the time. Oddly though he encored with the relative Free obscurity of 'Walk in My Shadow' before the inevitable singalong to 'All Right Now'. The Teesider, of whom it was once said 'when he sings, God listens' is one of my favourite artists, but I have no hesitation in saying this was the most memorable gig of his I have seen. The feather in Moondance's cap for their 20th anniversary was to book Kiss, probably rivalling Def Leppard as the biggest band to have played the festival, and they gave the crowd a show to remember. I could carp and say that this was not a vintage Kiss performance...But the sheer theatre and atmosphere meant that this mattered little to an enraptured crowd. 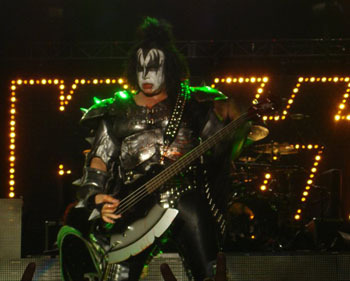 A Kiss stage show is never less than spectacular, with the larger than life image and personality of rock's widow twankey, Paul Stanley and the lascivious Gene Simmons, but on this occasion the explosions and pyrotechnics that kept going off were as loud as bombs, the advantage of holding an outdoor event deep into the countryside! Although they opened with new song 'Modern Day Delilah' and also sneaked in 'Say Yeah', with the simplest singalong chorus imaginable, generally the set was based around 'Kiss Alive' and all the familiar songs like 'Cold Gin', 'Deuce', 'Calling Dr Love' and 'God of Thunder' were there. After a run of classics to close in 'Love Gun', 'Black Diamond', and 'Detroit Rock City', there was a surprise in the encore as drummer Eric Singer came to the front to sing 'Beth', which was less cringe inducing than Peter Criss' original. Paul Stanley then brought on a war veteran and got the crowd to recite the pledge of allegiance with hand on heart, leaving me as a foreigner unsure what to do. I have never been a fan of their live treatment of Lick it Up, but on this occasion as the band stretched out it worked, and was followed by two of the ultimate rock party anthems in 'Shout it Our Loud' and 'Rock and Roll All Night', with a confetti explosion of the contents of an entire forest, and the band members on platforms rising to the top of the stage. I could carp and say that this was not a vintage Kiss performance: there was an awful lot of padding, resulting in a band not known for long songs only playing 18 of them in a 2 hour set, while adequate would be a kind way of describing the new 'Ace', Tommy Thayer. But the sheer theatre and atmosphere meant that this mattered little to an enraptured crowd. A guy next to me had been boasting he had attended 19 of the 20 Moondances, and I bet he had never seen such a spectacular show in that time. After Paul Rodgers and Kiss had given such sensational performances in their differing ways, the Saturday was frankly a weaker bill, and indeed I missed Fuel and disappeared before Stone Temple Pilots, who held little appeal to me. Nevertheless, blessed by the best weather of the Fest there was plenty to enjoy. There was even an unscheduled appearance by rising retro classic rockers Rose Hill Drive, showcasing their new Americana album. I'm afraid that despite trying to create a Zeppelin vibe, their songs were rather forgettable. In contrast all-girl AC/DC band Thundherstruck have become firm favourites at Moondance and a too-short 45 minute greatest hits style set went down very well. English guitarist Tina Wood makes a very convincing 'Angus', and even had �Tina' shouted at her during Whole Lotta Rosie. Burton Cummings was not a name high on my radar but was the lead singer of the Guess Who, and his set was perfect sunny afternoon chill out material. Seated at a piano which formed a prominent part of the sound and with a fine band, he played a set with a fair sprinkling of the Canadians' late sixties and early seventies hits such as 'Bus Rider', 'Hand Me Down World' and 'These Eyes'. I was slightly puzzled by his political leanings - a pro-animal rights song I thought was a risky choice in this neck of the woods, and yet he sang the praises of America, while another new song boldly claimed �we just came from the USA'. It may have been a satire in the mould of 'American Woman', which of course got played, although it was the Byrds-esque No Time that probably got the best reception of all. 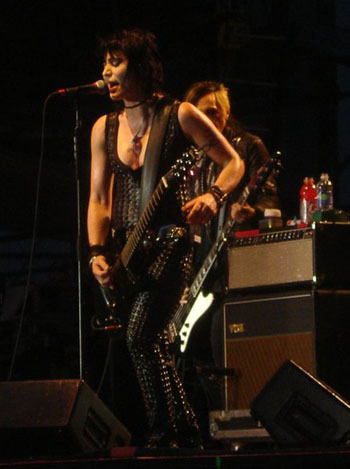 My final band was Joan Jett and the Blackhearts, with Joan looking in great physical shape and wearing Rob Halford's leather cast offs from circa 1982, backed by a tight and punky band. I was pleased to see a good sprinkling of Runaways numbers in the set, notably 'Cherry Bomb' and 'I Love Playing with Fire', while she unashamedly covered Gary Glitter's 'Do You Wanna Touch Me' and I did wonder how many of the natives singing along were aware of the connotations of this. The set did sag in the middle, as people waited for the three big hits which all came one after another - 'I Love Rock n Roll', 'Crimson and Clover' which changed pace several times, and 'I Hate Myself For Loving You', and there was a great atmosphere with everyone singing along. Less well known to the crowd was the encore, but as a fellow devotee of seventies British glam rock, I was delighted by a cover of the Sweet's 'AC/DC'. Then it was time to pop into the saloon to join a rowdy crowd dancing to more AC/DC classics from Thundherstruck before hitting the road. Small enough to have an intimate family atmosphere, but large enough to support good facilities attract high calibre bands, Moondance once again felt like the party that never ends. And the great news is that they have since confirmed that there will be a Moondance 21. Once you go there, you too may find you are hooked for life.